In 1910, Walter P. Chrysler became works manager for the Buick Motor Company, and then vice president of General Motors in 1919. In 1925, he founded the Chrysler Corporation, and rapidly expanded it to become a serious rival to General Motors and Ford. Chrysler started Plymouth and DeSoto, and in 1928 acquired the large and successful Dodge Brothers Corporation, which had sold two million cars under its own name. In 1934, Chrysler introduced the Airflow, a streamlined car that pointed to the future, but found few buyers. By 1937, Chrysler was building more than a million cars a year. In 1951, Chrysler introduced its powerful 'Hemi' V8. It was continually developed in the 1960s, growing in displacement from 331 cubic inches (5.4 liters) to 426 inches (7 liters) to become a major force in American automobile racing. In 1998, the Chrysler Corporation merged with Daimler-Benz AG to form DaimlerChrysler. Two products of this merger appeared in 2004. The Chrysler Crossfire sports car shares many components with the first-generation Mercedes-Benz SLK. The Crossfire SRT-6 is a supercharged high-performance model with a 320 horsepower version of the standard V6. The Chrysler ME Four-Twelve, produced as a prototype, is a 250-mph, V12-powered, mid-engine supercar billed by the company as the 'ultimate engineering and design statement from Chrysler in terms of advanced materials, aerodynamic efficiency, and vehicle dynamic performance. 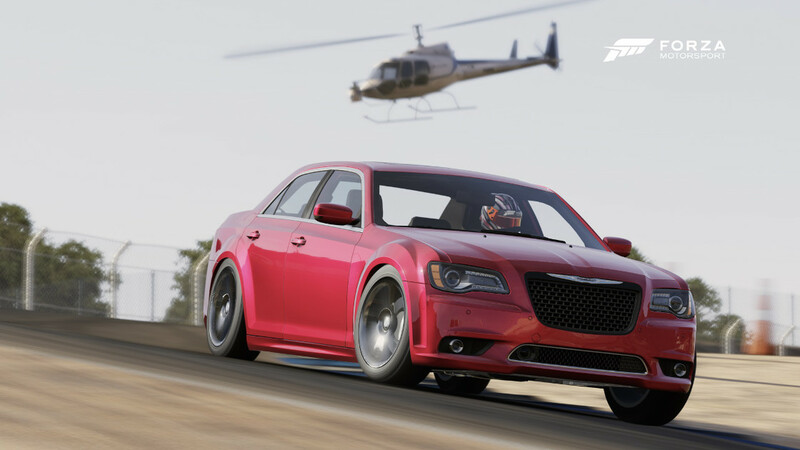 Getting right to it, the Chrysler 300 SRT8 has a huge Hemi under the hood. More than 450 horsepower horsepower and 465 pound-feet of torque connected to the rear wheels makes for a tire-smoking good time. It also makes for some pretty amazing performance; like 0-60 mph in less than five seconds and under thirteen second quarter mile times. Performance like this used to be born of modifications and aftermarket parts. Now Chrysler is giving it to you right out of the box. Even fuel economy is boosted. Do you remember the days when more horsepower meant lower mileage? Those days are past, now comfort and sophistication meet monster muscle and performance in the 300 SRT8, not surprisingly Chrysler has made them go delightfully hand in hand.